Roy Armes, "Roots of the New Arab Film"
Roots of the New Arab Film deals with the generation of filmmakers from across North Africa and the Middle East who created an international awareness of Arab film from the mid-1980s onwards. These seminal filmmakers experienced the moment of national independence first-hand in their youth and retained a deep attachment to their homeland. Although these aspiring filmmakers had to seek their training abroad, they witnessed a time of filmic revival in Europe – Fellini and Antonioni in Italy, the French New Wave, and British Free Cinema. Returning home, these filmmakers brought a unique insider/outsider perspective to bear on local developments in society since independence, including the divide between urban and rural communities, the continuing power of traditional values and the status of women in a changing society. As they made their first films back home, the feelings of participation in a worldwide movement of new, independent filmmaking was palpable. 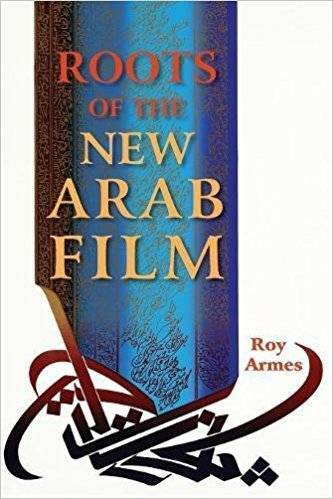 Roots of the New Arab Film is a necessary and comprehensive resource for anyone interested in the foundations of Arab cinema.